Many people often feel ashamed of their scars as society deems them to be ugly and something that should be hidden at all times. Scars make people uncomfortable and it’s about time that changes. 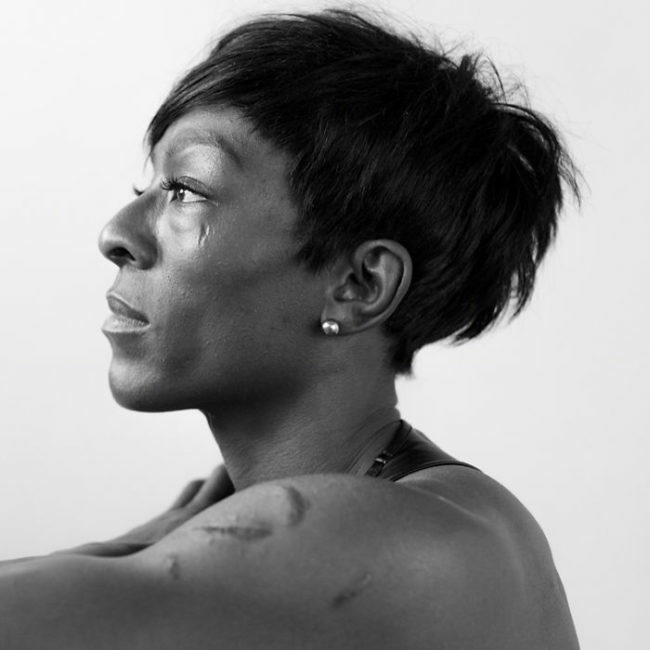 Sophie Mayenne is a photographer from London and started a project called, ‘Behind The Scars’. 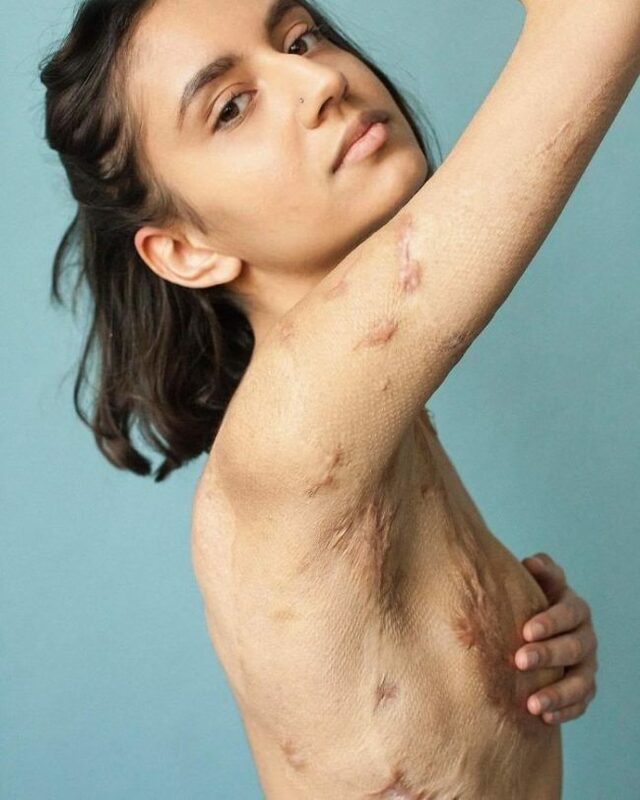 She wanted to photograph people with scars and tell us the stories behind them. The people in this project felt insecure about their scars and found it liberating to be a part of such a beautiful project. It gave them renewed confidence and it was therapeutic to share their stories. Every scar has a story and so does every person. Never judge a book by its cover! These are some incredibly strong, beautiful people who have stories to share. Mercy got her scars from a fire that was the result of domestic abuse. 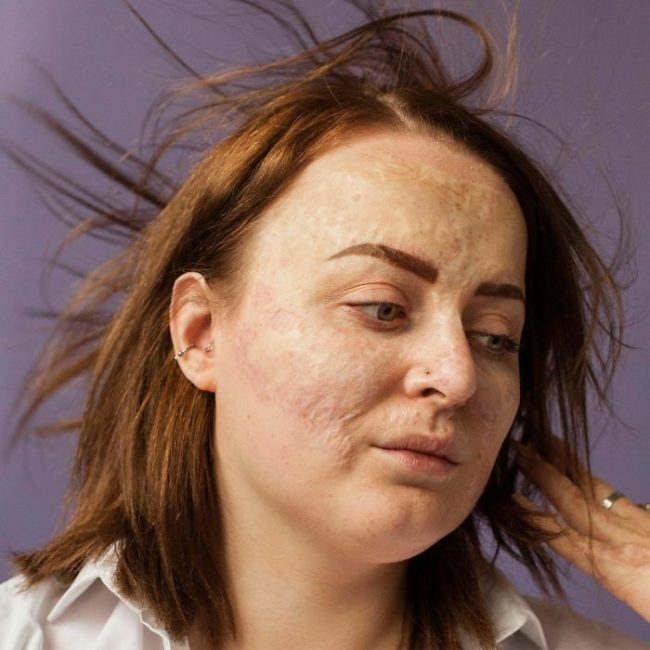 At the aged of 29, she got badly burnt and has struggled to come to terms with it all. 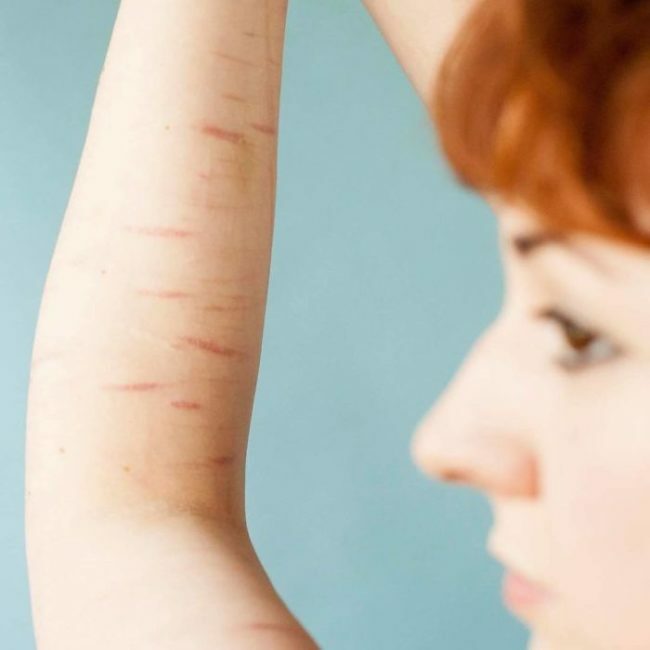 Today, she proudly says that her scars made her who she is. She calls them, “most precious, and expensive piece of jewellery I own.” That’s beautiful! Maya’s skin is the result of a condition called epidermolysis bullosa. Recently, her skin has taken a huge turn for the worse and her self esteem has plummeted. Most of her day is spent caring for her skin and dealing with the pain. After the photo shoot, she realized that she is still her beautiful self no matter what. When Agnes was 7 years-old she survived a horrifying gas explosion. Since then she has undergone 27 reconstructive surgeries. 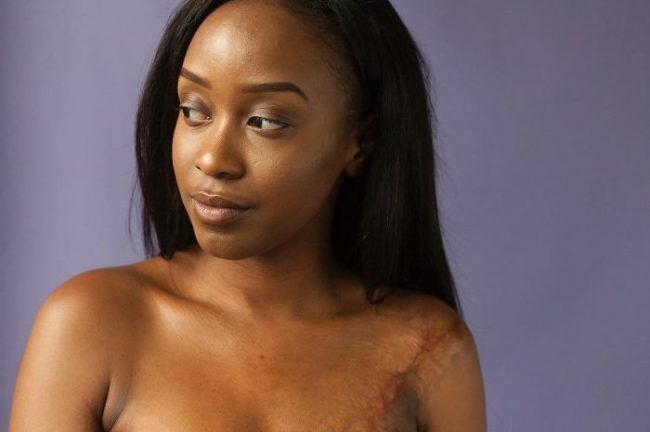 She has fallen in love with her scars and thinks that they are beautiful, which they are! When Bintu was young, she pulled a cup of boiling hot tea off the counter and badly burnt her shoulder. She cannot even remember her body without a scar and wears it with pride, she wouldn’t be here without it! Sometimes she feels insecure when she catches people looking but most of the time she accepts the scar as herself. Sam played with a handgun at age 14 which resulted in her spending her life in a wheelchair. She says that her spiritual and physical scars have helped her to grow stronger and have empowered her. She is a model and tennis player, teaching everyone to follow their dreams and feel beautiful! 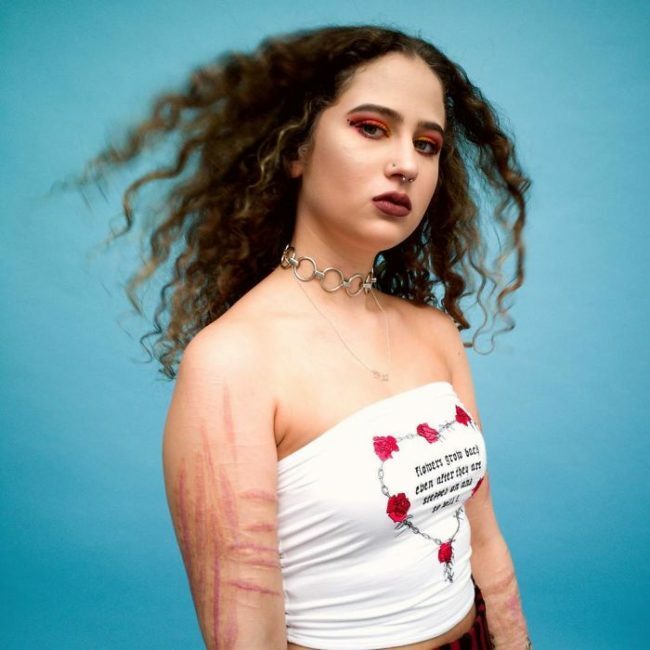 Chloe started self-harming when she was just 13 and has struggled with it ever since. Self-harming gets progressively worse and is extremely addictive. Chloe’s scars will stay with her forever but she sees them as a sign of how she beat mental illness and can move on with her life. Isabella was in a house fire during the summer of 2015. Everything went up in flames. Her scars and tissue continue to change as time goes on but she has never felt more beautiful and she certainly is! When Iris was 5 months old, a fire started next to her bed while she was asleep and she lost two fingers. 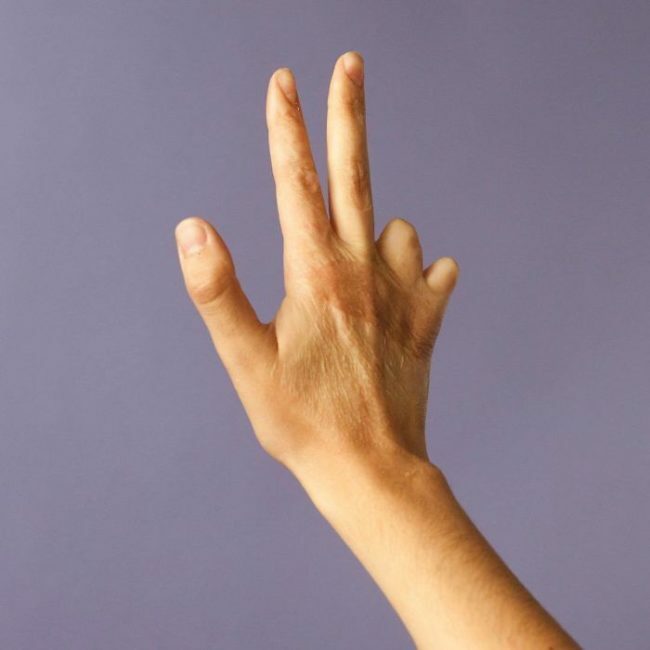 She has spent much of her life hiding her hand, avoiding handshakes and hearing people whisper about her hand. She is still working on mentally accepting it but she is a fighter! 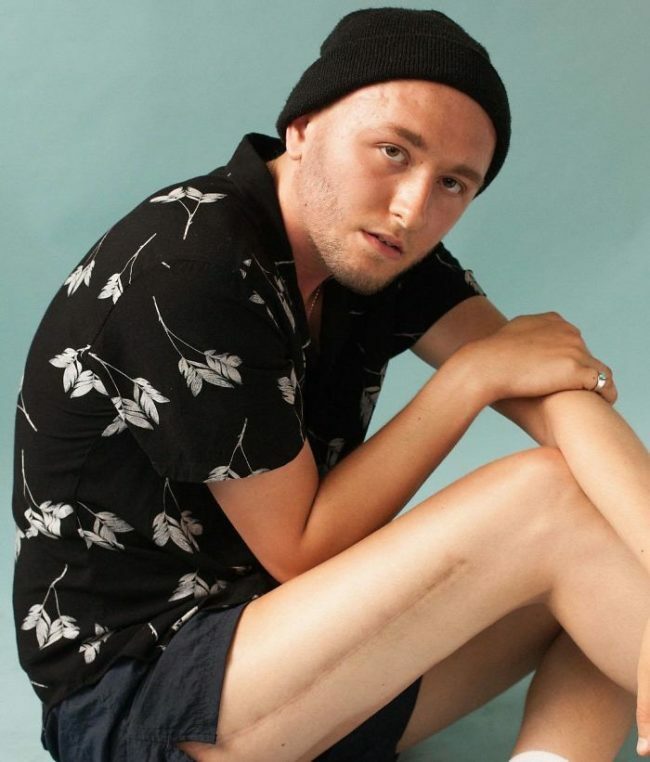 Billy was diagnosed with Ewings Sarcoma at 18, a rare bone cancer that affects young people. He has had titanium put into his thigh, creating the scar. He views the scar as health, recovery and the sign of a long life ahead of him. Hebe had surgery to correct her scoliosis. The experience of hospital and surgery humbled her greatly and she has a new-found respect for her body. She appreciates the fact that she can now run, jump and dance with no problems at all. Gemma’s body has scars from various times in her life. Her relationship with her body and her scars has been rocky at best but as she grows older, she has learnt to accept herself. She describes her body and her scars as an ‘army’ and I couldn’t think of a more beautiful way to put it! Ashleigh has struggled with self-harm since she was just 8-years-old. She has been wearing long sleeves even in the summer for years. Now, she is accepting her scars and no longer hiding them as that would suggest that she is guilty or ashamed. Which she isn’t. When Silje was three years old she was diagnosed with Stage 2 Wilms Tumor, a form of childhood cancer that grows in the kidneys. She had an operation to remove her right kidney which gave her the scar. She loves and accepts it, as she should, she looks like a model! Andrea got her scars from a deranged person trying to get revenge, the worst part is that it wasn’t meant for her. The person was repeatedly punching her with a glass, created scars that remain to this day. She loves herself for her and even forgives her attacker. Jessica was 8-years-old when she was in a car accident. She ended up with a car on top of her, half her body on the inside and half on the outside. She suffered severe head and chest trauma and was in a coma for 10 days. On the tenth day, the doctor told her mother that there was no hope…and then she woke up! Her scar reminds her of a miracle and it represents a new chapter. Never judge a person with scars as those marks made them a better, stronger person. We all have scars, whether physical or emotional and it’s important to love and accept yourself for the way you are!